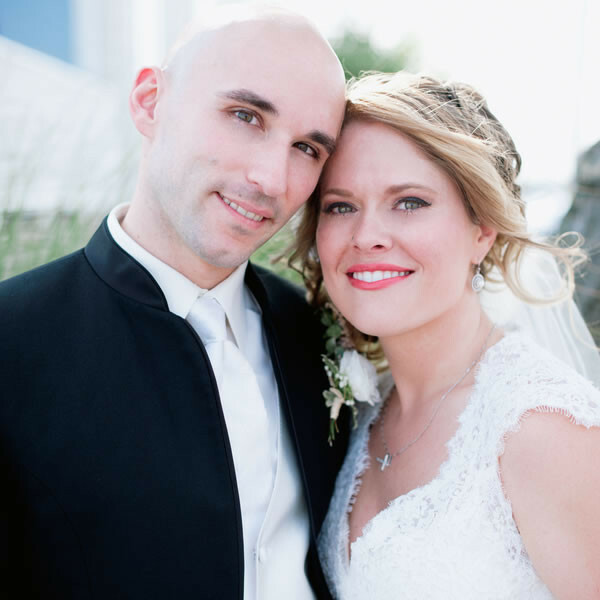 Jackie and Christopher were married in a ceremony at Point Pleasant Beach followed by a reception at Versailles Ballroom at the Ramada of Toms River in Toms River, N.J. on August 8. 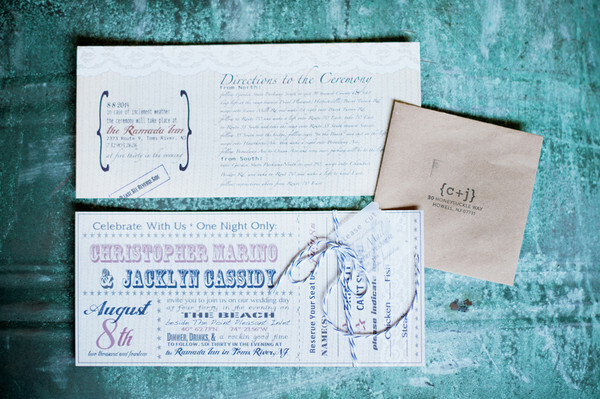 The invitation suite was modeled after admission tickets. 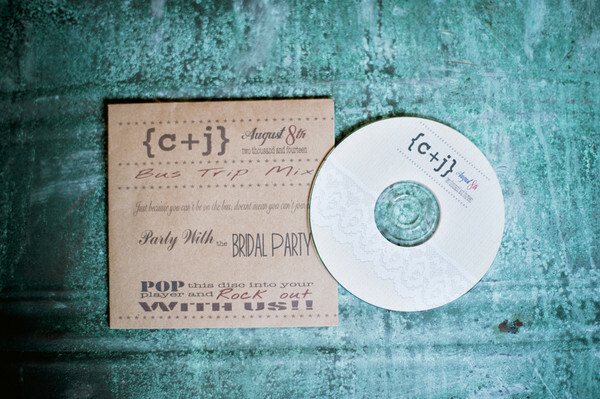 The couple made “Bus Trip Mix” CDs for guests to play while traveling to the wedding. 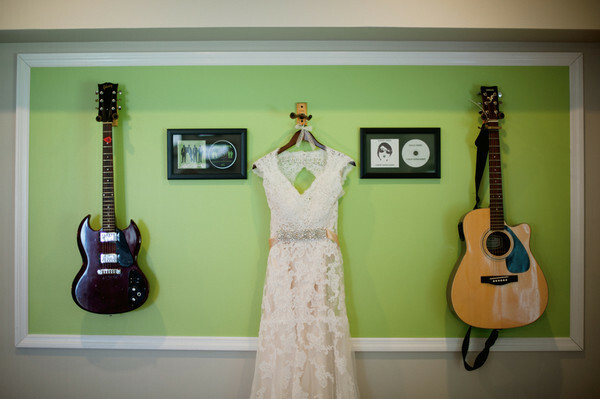 Jackie’s lace and tulle wedding gown featured a v-neck, cap sleeves, and satin sash. 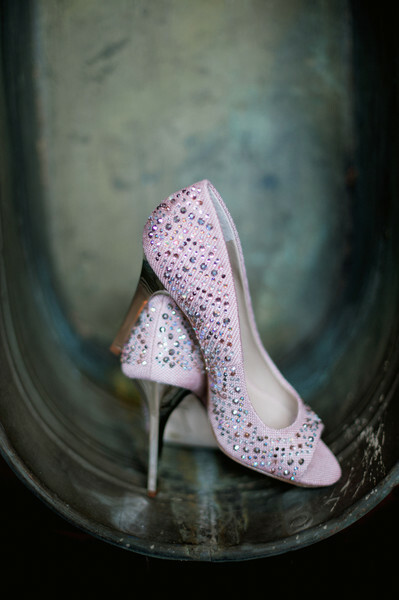 Check out her sparkly pink platform high heels! 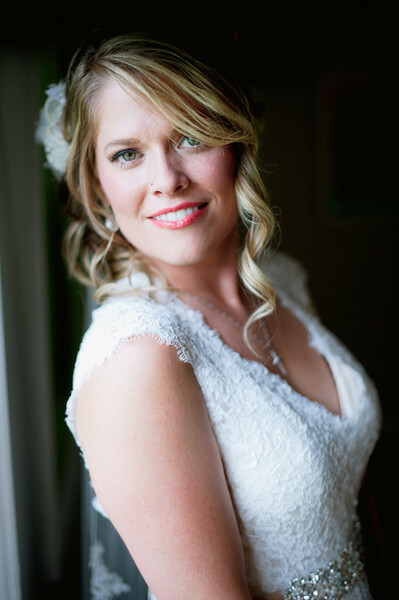 She accessorized her loose updo with a flower hairpiece and floor-length veil. Bouquets featured roses, baby’s breath, and astilbe. 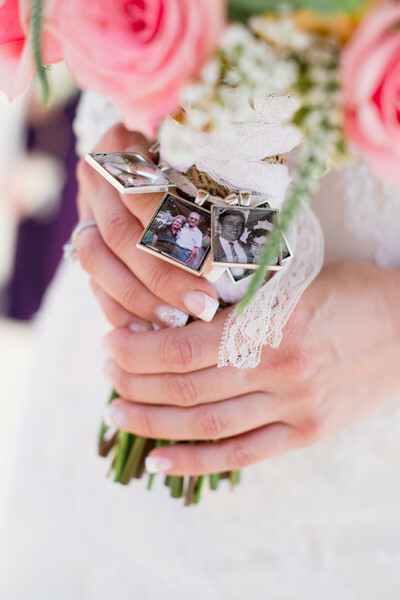 Pictures of loved ones were portrayed on the stems. Bridesmaids wore short neutral silk dresses. 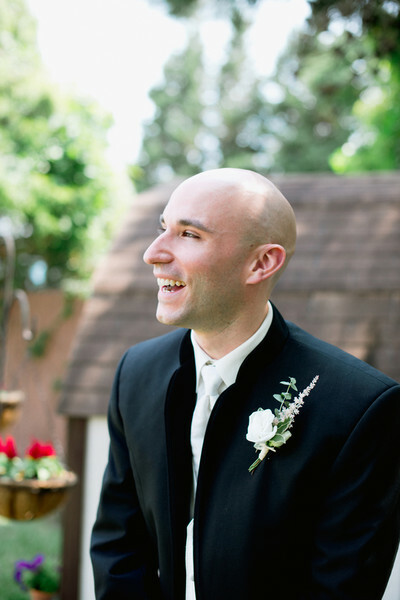 Christopher’s black tuxedo was accessorized with a collarless jacket, white vest, and tie. 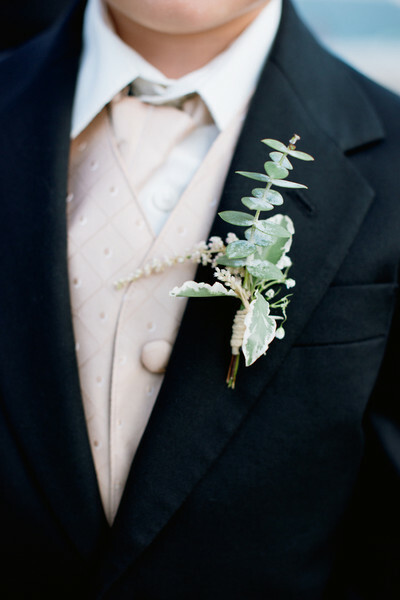 Groomsmen wore boutonnieres featuring eucalyptus leaves and pittosporum. The couple opted for a first look to ease pre-wedding nerves. 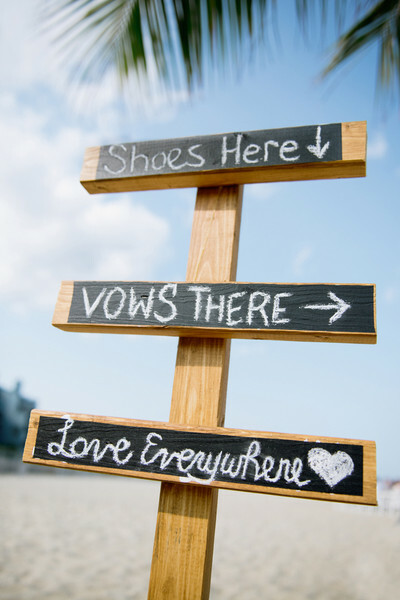 A chalkboard sign said, “Shoes here, vows there, love everywhere.” How cute is that? 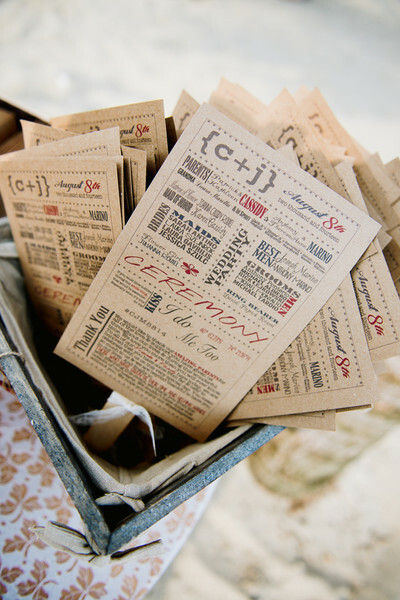 Ceremony programs doubled as paper fans to help beat the heat. 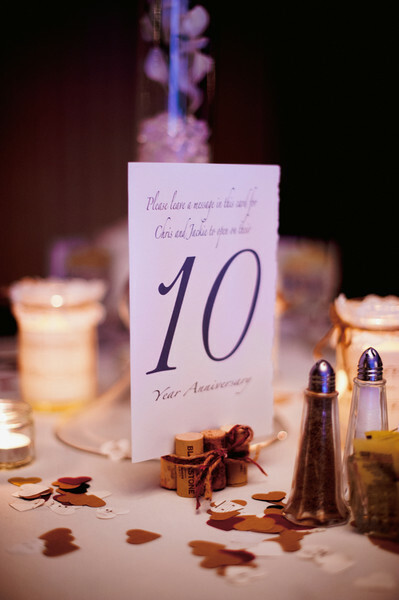 Guests were asked to write pieces of advice for the newlyweds to read on various anniversaries. 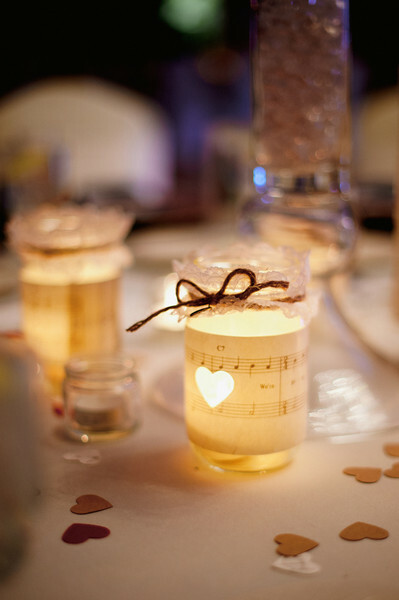 Heart-shaped confetti and votive candles in mason jars wrapped with sheet music also decorated the tables. 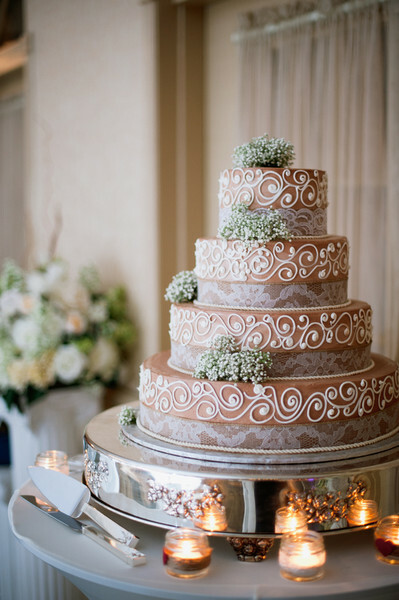 A four-tiered fondant-frosted cake was cut concluding dinner.